If you’re the kind of holiday-goer who is drawn by the lure of the lazily lapping tide or the adrenaline-fuelled adventure of diving or rafting, these are the hotels for you. We’ve picked our favourite waterside lodges, B&Bs and cottages for water-based escapades or beachside relaxation – now it’s time to dive in! Between Lake Garda and Verona, this rustic yet charming B&B has an enchanting riverside setting with beautiful gardens, delicious breakfasts and welcoming hosts. 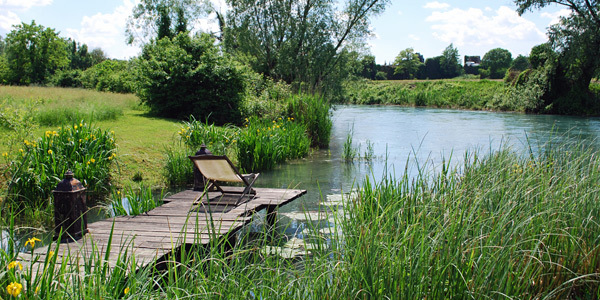 Comfort is top of the agenda, and in summer a section of the river is closed off to create a natural pool – swim or simply laze in a hammock on the bank. 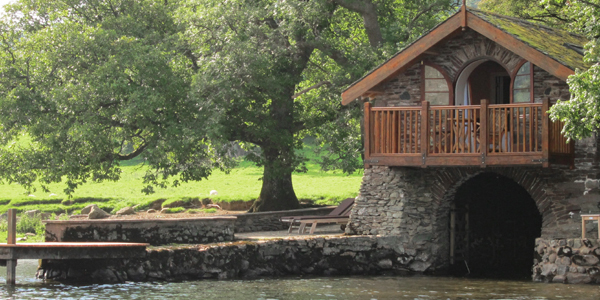 The ultimate romantic escape, this little bolthole is tucked away on its own private lakeshore on Ullswater in the stunning Lake District. Sleeping just 2, the boathouse benefits from uninterrupted views over the water, which you can explore in your private rowing boat or jump in for a dip! 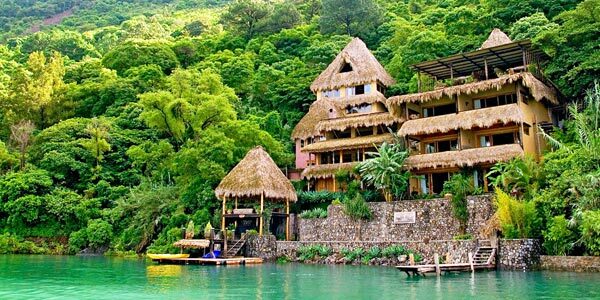 Hidden high in the Guatemalan forest and sacred to the local Maya, Lake Atitlán’s jade waters lap just steps from this stylish eco-lodge, which benefits from stunning views, an excellent spa and exemplary vegetarian food. It’s only accessible by boat (guests use water taxis to get around), and you can explore by wild swimming or by borrowing the hotel’s kayak and snorkelling equipment. 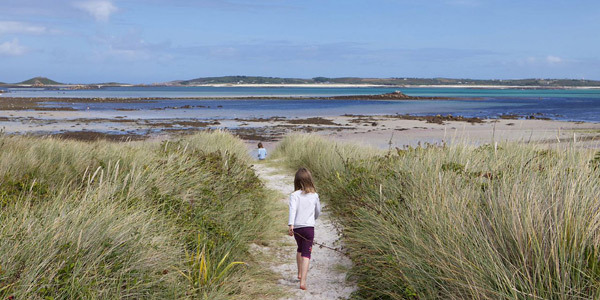 You’d be forgiven for mistaking the shimmering blue waters running alongside this cluster of comfy cottages for the Mediterranean, but they’re actually right here in the UK, on the idyllic car-free Scilly isle of Tresco. Off the Cornish coast, with sea views, a sailing school and a restaurant, this is a dream British escape – empty white-sand beaches are just steps from your door. 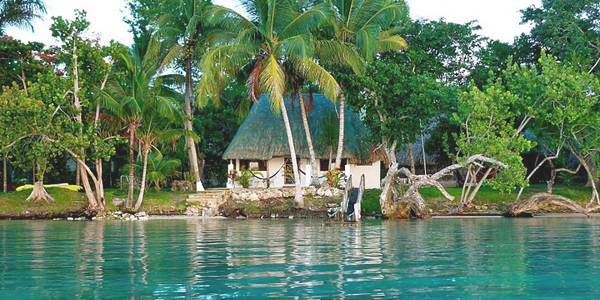 This budget eco-resort has spacious thatched casitas and is set in verdant gardens, overlooking the unfeasibly blue waters of Laguna Bacalar. Found in the southeast of Mexico’s Yucatán and surrounded by wild jungle, the romantic lakeside casitas have beautiful local crafts and sparkling vistas. Spend time wild swimming, kayaking and taking boat trips, or travel 30 minutes to swim in a 100m-deep natural well. 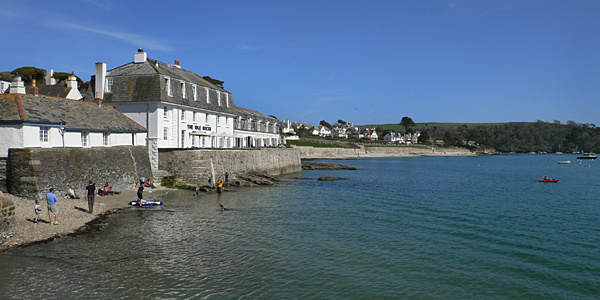 The small Cornish town of St Mawes overlooks the azure waters of the pretty Fal Estuary and The Idle Rocks – a chic and youthful hotspot – is perfectly placed to take it all in. This 20-bedroom boutique hotel has a sunny terrace right against the lapping water where boats bob past and sails puncture the horizon. The watery environment even segues nicely into the nautical and Scandinavian influences (with a dash of St Tropez) displayed in the comfy rooms, and there’s also a fabulous restaurant serving fresh local seafood. 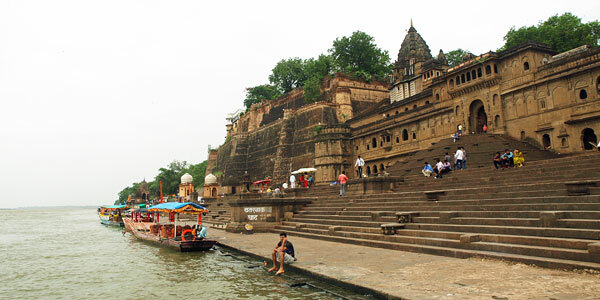 Few hotels have a sacred relationship with the water that surrounds them, but Ahilya Fort, located above the stunning Narmada river, is one such magical place. The 18th-century fort stands alongside a ghat (a set of steps leading down to the holy river) which is still very much a part of local life. Wandering along the ghats at sunrise and taking a serene evening boat ride are truly dreamlike experiences and if you’re looking to cool off, there’s also a beautiful pool in the fort’s lush gardens. For many, a holiday to tiny Montenegro is typified by the stunning old towns and majestic palazzos that line the country’s beautiful (albeit short) Adriatic coastline. At this specific palazzo in Dobrota it’s all about waterside relaxation: if the large pool isn’t enough, just step out to the sun-drenched jetty and plunge into the bay’s crystalline water. All of this set to the backdrop of Europe’s ascending star of elegant and luxurious travel. 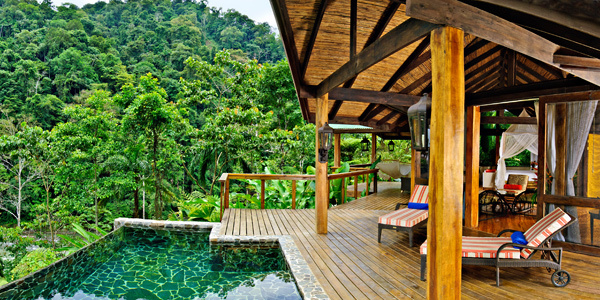 Despite miles of stunning Costa Rican coastline, some of the most exciting aqua-based adventures happen inland at riverside hideaways like Pacuare Lodge – an idyllic jungle retreat hidden deep in the rainforest and accessed by raft (or a jeep and basket across the river!). This is definitely a hotel for the intrepid, and the old adage that fortune favours the brave stands true as persevering travellers will be rewarded with luxurious cabins, paradise-like gardens and a truly unforgettable stay in one of the most unspoilt environments in the world. 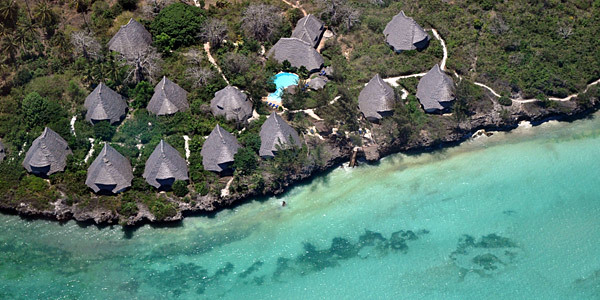 If there are 2 words we like next to each other it’s ‘barefoot’ and ‘luxury’ and lucky for us, Unguja Lodge has got both in spades. With just 12 thatched villas and crystal clear, unspoilt waters all around, snorkelling and diving are a must (you can even venture out for night dives). Plus, with the help of the organised tours, there’s the rare chance to swim with wild dolphins. If the animal abundance of the sea gets too much, there’s always time to laze by the large pool and soak up the friendly, laid-back atmosphere.